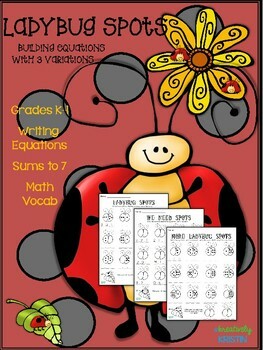 You get THREE variations with picture support to practice writing equations. 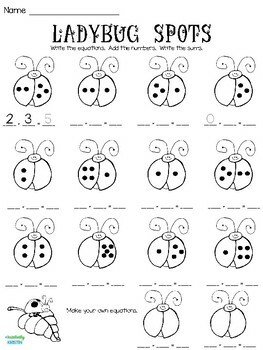 Students use the Ladybug Spots to write corresponding numerals and solve simple addition equations with sums to 7. 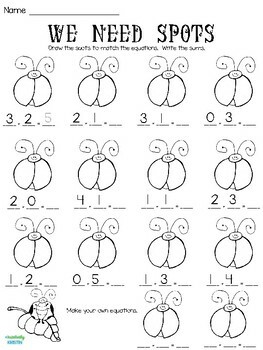 Go one step further at the end and have them make up equations of their own. What a great way to incorporate HIGEer level thinking and differentiate student learning, while you build that MATH VOCABulary. 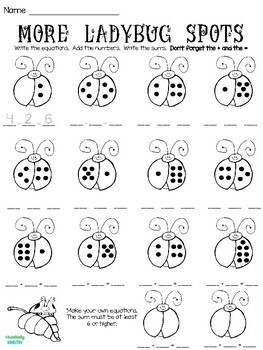 A perfect ADDition to your Ladybug Unit! Check out my store for a Groundhog Equation printable.